Super-charged new works by Heather Kravas, Jody Kuehner, Zoe Scofield, Daniel Costa, Jaret Hughes, and Maya Soto + films from KT Niehoff’s Film Track students. HEATHER KRAVAS is a choreographer and performing artist. Since 1995, she has investigated choreographic, somatic and collaborative practices to explore the limits of dance as a contemporary form. Often repetitive and exceptionally structured, her dances consider and activate the edges of human experience – boredom, indulgence, disappointment and desire. 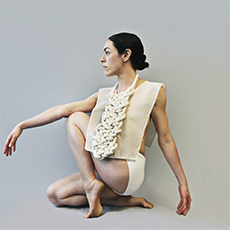 Her upcoming work, visions of beauty premieres at On the Boards March 30 – April 2. 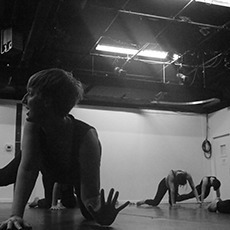 Kravas’s performances have been presented at venues including Chez Bushwick, The Chocolate Factory, Dance Theater Workshop, Danspace Project at St. Mark’s Church, The Kitchen, Movement Research at Judson Church, On the Boards, Performance Space 122, Fusebox Festival and Tonic as well as internationally. Her varied collaborations include choreography with Canadian/European artist Antonija Livingstone (2003-2008) and extensive improvisation with cellist Okkyung Lee as the nono twins (1999-2004). Since 2001 she has worked as an interpreter and rehearsal assistant for DD Dorvillier’s human future dance corps and also performed in the work of Marina Abramovic, Jennifer Allen, Alain Buffard, Amy Cox, Dayna Hanson, Amii LeGendre and Yvonne Meier. Kravas is a 2016 Creative Capital Artist and 2015 Doris Duke Impact Awardee and has previously received support from Foundation for Contemporary Art, MAP Foundation, National Performance Network, 4Culture, PACT/Zollverein, CCNFC Belfort, f.u.s.e.d., Bossak/Heilbron Foundation, the Yard and Seattle Arts Commission. JODY KUEHNER is part dance artist and part bio drag queen named Cherdonna Shinatra. Jody is in her seventh year dancing for the Pat Graney Company. She has also been Pat’s dance intern for the company’s prison project “Keeping the Faith.” She’s in her fifth year dancing with Mark Haim and has acted as his Administrative Assistant and Rehearsal Director for various projects. She worked as Dayna Hanson’s Production Coordinator for two evening length works and has been Assistant to the Director for Hanson’s feature length film “Improvement Club”. She is also Hanson’s Assistant Director for the most recent work “The Clay Duke”. 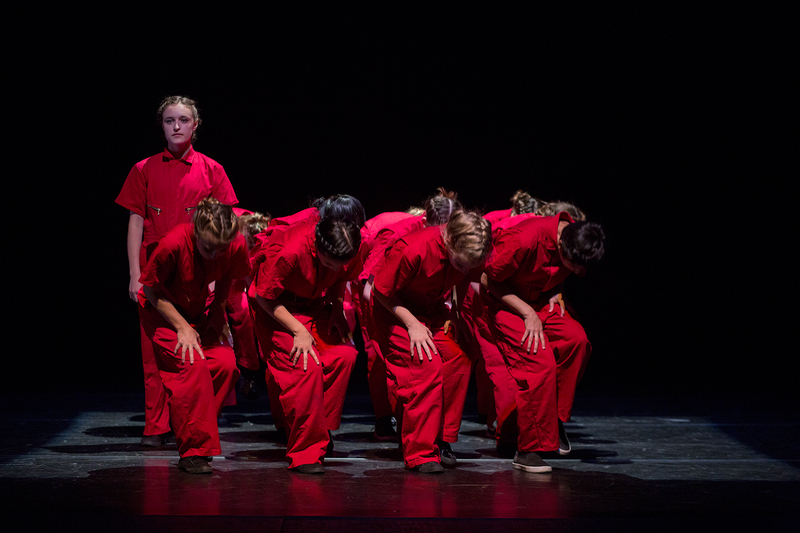 From 2003-2009, Jody was a member of d9 Dance Collective and has also danced with Wade Madsen, KT Niehoff, Laura Curry, and Amy O’Neal (Tiny Rage) among others. Jody’s persona Cherdonna Shinatra performs regularly with DeLouRue Productions and also performs periodically with paulanow productions and NARK Magazine. She and Lou Henry Hoover made work as “The Cherdonna and Lou Show” for five years, teaching, producing, performing. They were recognized as Seattle Magazine’s 2010 Spotlight Award Winners. The Cherdonna and Lou Show also presented work and taught at the CORD conference on dance and gender in 2012. 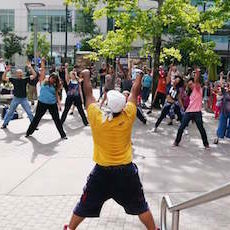 Jody currently teaches technique at Velocity Dance Center and has taught at their summer intensive Strictly Seattle as well as the Seattle Festival of Dance Improvisation. She has presented choreography at On The Boards, Velocity Dance Center, Northwest Film Forum, Bumbershoot and the Joyce SoHo NYC. She is Velocity’s Artist in Residence for 2014 and is being produced by Velocity’s Made in Seattle program. Jody is also in residence at KT Neihoff’s space 10 Degrees. She holds a BFA in Dance Performance from the University of South Florida and has been supported by the Seattle Mayor’s Office of Arts and Cultural Affairs and 4Culture. ZOE SCOFIELD is a 2015 Guggenheim Fellow, is a dance and visual artist based in Seattle, WA. Zoe began ballet at a young age, instilling in her a deep interest in structure, discipline and performances’ ability to create a transformative experience. Since 2004 Zoe has been collaborating with video and visual artist Juniper Shuey. Their company, zoe | juniper, has been commissioned and presented by American Realness, Bates Dance Festival, BodyTraffic, Boston Conservatory, CAC New Orleans, CalArts, Carolina Performing Arts, CNDC Angers, Columbia College Chicago, Cornish College, NYLA, DancePlace, FringeArts, Frye Art Museum, Jacob’s Pillow, Myrna Loy Center, New York Live Arts, On the Boards, Pennsylvania Ballet, PS122, PuSh Festival, REDCAT, The Joyce, Trafo House of Contemporary Art and Velocity Dance Center among others. zoe | juniper has been awarded residencies and grants from 4Culture, Artist Trust, Foundation for Contemporary Arts, The Glenn H. Kawasaki Foundation, The MacDowell Colony, MAP Fund, Mid-Atlantic Arts Foundation, National Performance Network, New England Foundation for the Arts’ National Dance Project, Princess Grace Foundation, Seattle Foundation, Seattle Office of Arts & Culture, The Mellon Foundation, and Trust for Mutual Understanding. 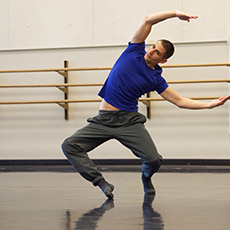 DANIEL COSTA’s interest in dance was sparked at the age of 16 because of film centered around dance. He started learning from YouTube and eventually studied Funk Styles under Tom Mckie in Central New Jersey. He gravitated towards waving, popping and freestyle and continued his independent dance studies while seeking after performance opportunities with local hip hop artists and dance troupes. He was introduced to Modern dance at the age of 17 and started his formal, conservatory dance training at Mason Gross School of the Arts at Rutgers University at the age of 19. At Rutgers, Costa studied contemporary technique, improvisation and choreography under Doug Elkins, Randy James, Julia Ritter, Keith Thompson, Chien-Ying Wang, Manuel Vignoulle, Meaghan Frederick, Laura Peterson (NYC), Taryn Vander Hoop and Shen Wei Dance Arts, to name a few. He completed his Bachelor of Fine Arts in Dance and moved to Seattle, Washington in 2015 to work professionally as a choreographer, director, performer and teaching artist. As a freelance dance artist, Costa has worked with Chamber Dance Company, Madboots Dance, Stephanie Liapis, The Three Yells, Wade Madsen, Cherdonna Shinatra, and has performed works by Crystal Pite, Kate Weare, Shen Wei, Larry Keigwin, and Manuel Vignoulle, among others. Discover more about Costa and his Seattle-based dance company at danielcostadance.com!